How Long Does it Take for Rosemary to Grow? Rosemary (Rosmarinus officinalis) originated in the Mediterranean region, where it adapted to warm temperatures, sandy soil and a dry environment. In warmer areas (zones 7 to 11) it is a perennial and can grow outdoors. Plant rosemary in a pot in colder areas (zones 6 to 2) so it can be brought inside during winter to protect it from the cold. Rosemary prefers slightly alkaline, sandy, well-drained soil so that the roots do not stay wet and it can live up to 20 years when well cared for. Rosemary grows best when started from a cutting. The fastest way to get a rosemary plant started is from a cutting. Take the cutting from new growth on the parent plant, snipping about 2 to 4 inches from the end of the branch at the end of May or through the month of June. Trim off the bottom leaves and dip the end of the branch in rooting hormone before securing it in the lightly moistened potting soil. Cover the cutting and pot with a plastic bag to keep it in a warm, humid environment, between 60 to 70 degrees Fahrenheit and out of direct sunlight. The cuttings take about two to three weeks to develop roots and new growth, at which point they can be transplanted. 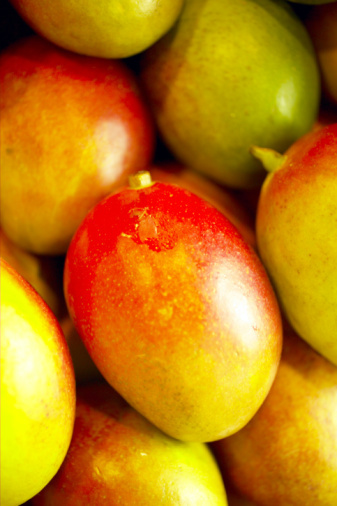 Without rooting hormone, the cuttings take about eight weeks to develop roots. 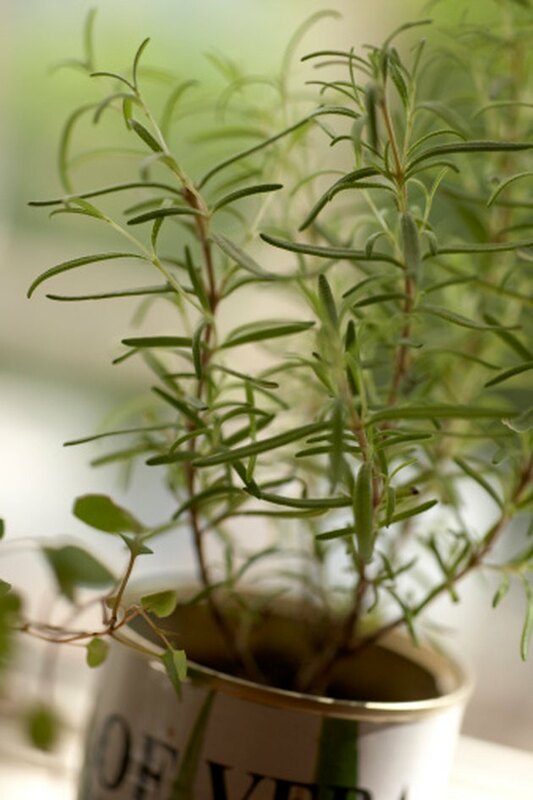 Layering is another method used to propagate rosemary quickly, because the branch remains attached to the original plant and continues to receive nutrients from it. Use a branch that easily reaches the ground and remove leaves along a 1-inch section at that point. Secure it to the ground using a landscape pin and cover the section stripped of leaves with dirt. The layered branch develops roots over the course of a few months, recognizable because new growth starts developing at the tip of the branch. At this point, cut the branch from the parent plant and move it to its new location, taking care not to disturb the roots too much. Although it is possible to start rosemary from seed, it is not the recommended method because the germination rate is only about 15 to 30 percent. They can take up to three months to germinate, so start them well before the planting season. Plant the rosemary seeds in a light, sandy potting medium, placing them about 3 inches apart. Spread a thin layer of the potting soil over the seeds and spray them lightly with water to moisten the soil. Cover the seed trays or cups loosely with plastic wrap to keep them moist and place them in a warm area. Once the seedlings start sprouting, they require ample sunlight and continued warmth. Plant them in larger pots or outdoors once there is no threat of frost. Burpee recommends waiting until the seedlings are about 3 inches tall before replanting. Rosemary requires at least six to eight hours of sun a day for optimal growth. The plants reach a mature height of 3 to 5 feet, on average, with a spread of 4 to 5 feet, depending on the exact growing conditions and the specific cultivar. The size and shape can be controlled with pruning. When planted in a pot, rosemary may require transplanting and trimming twice a year because it grows fairly quickly. Once the outdoor temperatures reach about 30 degrees Fahrenheit, move the rosemary indoors to a sunny location with southern exposure and good air circulation to prevent the development of powdery mildew.